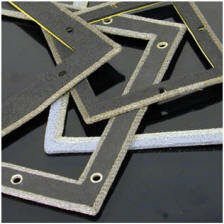 This type of gasket is fabricated by dispensing a fluid polymer onto a surface in the form of a bead that subsequently cures in place. 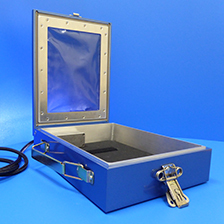 Gaskets may be applied directly onto plastic or metal enclosures. This can be a very cost effective method of sealing complex, intricately shaped or curved plastic mouldings, small scale machined or die-cast components. Very often a form-in-place gasket can be applied where a conventional gasket cannot be accommodated. Furthermore, it has the advantage that the gasket is firmly bonded in position ensuring that it remains accurately located when the part is assembled at a later stage. The gasket material properties (and even colour) can be tailored to the application. We can offer almost unlimited material types (most commonly silicone and fluorosilicones) from soft gels that are suitable for thin wall plastic mouldings, to high specification oil and fuel resistant materials. One of the main benefits of this process is that eliminates the need for expensive mould tools* and that it also allows gasket layout, detail or even cross-section to be easily be modified at any time if required. This process is equally suitable for any quantity from a single part to many thousands. 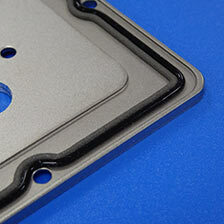 Prototypes, such as SLA parts can have gasket applied using this process, normally within a few days, helping to maintain short product development times. *In some cases location tooling may be necessary so as to ensure that the part is indexed accurately for gasket application. 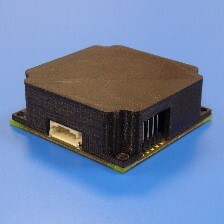 We can also provide custom moulded seals / components for specific applications. 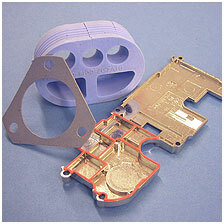 We specialise in short run, small silicone mouldings such as grommets.